Provide your hair with some love and attention by utilising the high-class services our hairstylists offer. We work with your hair to create sleek, luscious locks, adding volume when needed. Opt for a sun-kissed look all year round by taking advantage of our tanning treatments. Add the finishing touches to any look by choosing our skilled nail technicians to perform a gel manicure. Escape day-to-day life by allowing our skilled practitioners to transport you on a journey of total serenity. 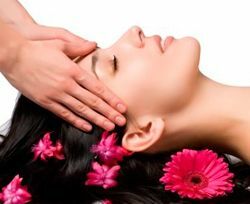 At Royal Beauty we pamper our clients with beauty treatments tailored to their needs. 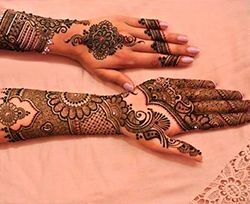 Enhance your look with an elaborately designed, temporary henna tattoo. Offering a selection of hair and beauty services, we’re able to create wedding packages that are inspired by your big day. Contact us today, in Northampton, to find out more about the relaxing hair and beauty services available at our beauty salon. Whether you’re looking for a colour retouch or a soothing massage, turn to our highly regarded hair and beauty salon. Based in Northampton, Royal Beauty is renowned for carrying out an assortment of unparalleled hair and beauty services. As a fully trained and qualified team of stylists and therapists, we take pride in listening to your needs, allowing us to provide you with a relaxing, bespoke pamper session. For more than 10 years, we have combined our skills and knowhow to make sure that you receive a remarkable service. Supplying quality products and a first-class service, we strive to help you in any way possible.